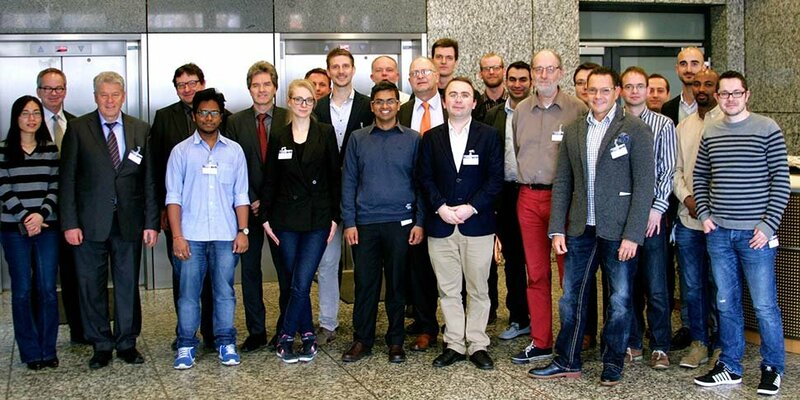 The 10th KuVS Next Generation Service Delivery Platforms (NGSDP) Workshop/Fachgespräch was hosted at Fraunhofer Institute FOKUS in Berlin, Germany on March 16, 2015 with the theme "Virtualization Impacts on Service Delivery Infrastructures – SDN, NFV and Clouds". The NGSDP series is supported by the GI/ITG specialist group on Communications and Distributed Systems "Kommunikation und Verteilte Systeme (KuVS)". Around 30 experts from German, Swiss, Polish and Italian academia and industry joined the interactive workshop to discuss innovative ideas, concepts and results in the scope of 5G, SDN and NFV. 13 speakers presented their work in four sessions. Each session ending with a highly interactive Q&A panel. The first session on “Ideas, Concepts and Visions" has been chaired by Dr.-Ing. Julius Mueller (TU Berlin / Fraunhofer FOKUS). Topics of this session were: Virtualization impacts on NFV in regards to SLAs, queuing models for services to gain infrastructure resource savings and an overview of ongoing standardization activities in the scope of orchestration and NFV. The second session on “Platform Virtualization in Practice" has been chaired by Prof. Dr. Hans Schotten (TU Kaiserslauter/DFKI). Topics of this session were: consequences of CPE design, DRM in virtualized TV architectures and an overview on prototyping 5G concepts as part of the Fraunhofer FOKUS Open5GCore testing environment. The third session on “Network Architectures and Platforms" has been chaired by Prof. Dr. Thomas Magedanz (Fraunhofer FOKUS). Topics of this session were: 5G architecture concepts, Gateway elasticity in virtualized mobile networks and cloud-native application design aspects for developers. The fourth session on “SDN & NFV" has been chaired by Prof. Dr. Paul J. Kuehn (University of Stuttgart). Topics of this session were: multi-tenancy SDN control with HyperFlex, a linear mixed integer programming algorithm for placement of VNFs in virtualized environments and a discussion of the trade-off between time and accuracy in controller placement for software defined networks. The Fraunhofer FOKUS toolkits Open5GCore and OpenSDNCore have been demonstrated as part of the NGSDP workshop. NFV Orchestration, SDN and Policy Control: Who does what? Consequences of NFV for CPE design - how many VMs fit on my home router? Registration is free of charge. Please register via email until February 27, 2015. We would like to announce the 10th Workshop (Fachgespraech) on Next Generation Service Delivery Platforms (NGSDP), “Virtualization Impacts on Service Delivery Infrastructures – SDN, NFV and Clouds”, of the GI/ITG specialist group on Communications and Distributed Systems "Kommunikation und Verteilte Systeme (KuVS)". Following the big success of the previous nine NGSDP workshops the 10th workshop on “Virtualization Impacts on Service Delivery Infrastructures – Software Defined Networks (SDN), Network Function Virtualization (NFV) and Clouds” will continue the series of NGSDP. Service Delivery Infrastructures (SDI) provide voice, data or other value-added services as reusable building blocks in telecommunication network infrastructures. SDIs might be complex due to a large number of supported services, inflexible in regard to changes to their static structure and expensive due to investment and maintenance cost. Starting from this point, new trends towards distributed, flexible and highly efficient SDPs emerge. Current trends in virtualization - driven by SDN, NFV and Cloud technologies – enable a higher level of automation, resource efficiency and flexibility in telecommunication networks. This workshop will allow researchers from academia and industry to analyze the impact of virtualization concepts on Service Delivery Infrastructures by discussing its advantages, limitations, trade-offs and innovation potential.